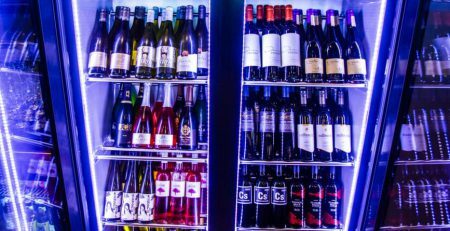 We’ve all heard how important location is to most retail businesses, including our wine and paint franchise. Location comes with a fixed cost, called rent. 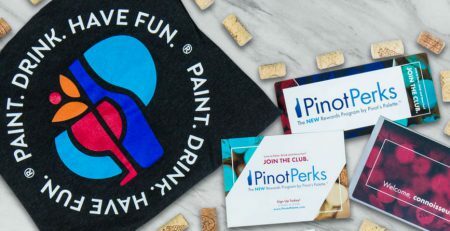 Pinot’s Palette’s peak public event times are Thursday and Friday evenings, Saturday, and Sunday brunch/afternoon. 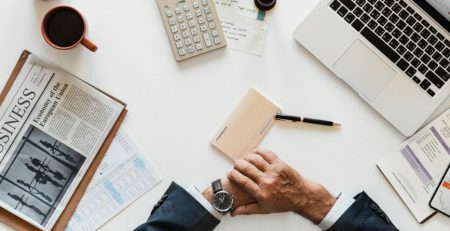 So, how can you increase your return on investment during non-peak business hours? Here are eight opportunities to consider. 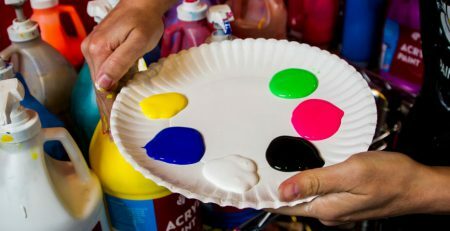 Open Studio is a free-form event, where guests can come and go while the studio is open, and paint to their heart’s content. They may paint their own vision, or use our self-guided instructions to paint their masterpiece. Open Studio time is relaxing and provides individuals an outlet to create what they want. 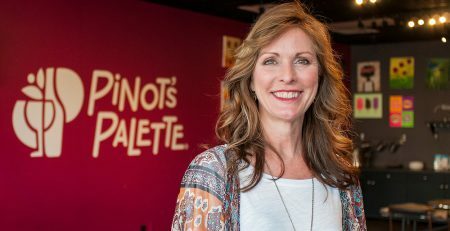 Painting It Forward is the service arm of Pinot’s Palette. 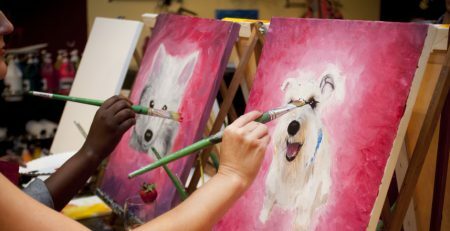 We host a variety of fundraisers for local, regional and national non-profit organizations, including St. Jude’s Children’s Hospital, the ASPCA or local charities near and dear to your heart. Since a portion of the proceeds are donated to the non-profit, events are held during non-peak hours, yet generate brand awareness and fulfillment of our Core Value, Serving Energetically. Really, these events make all of us, including our artists, feel good. 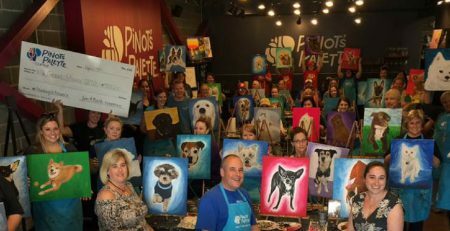 There is no better way to create awareness for those not familiar with Pinot’s Palette than getting them into our studios. We encourage Franchisees to get involved in local networking groups, from the Chamber of Commerce, to Society for Human Resources Management (SHRM), to women’s meet-up and professional groups. Many of these groups host happy hour or lunch networking events, and our studios are the perfect size and place to host. The host organization usually allows the hostess to give a short presentation and welcome introduction during the event, creating a time for you to shine in front of others likely to advocate your services or become a guest. In fact, there are businesses that need space to present and show appreciation for their top clients. 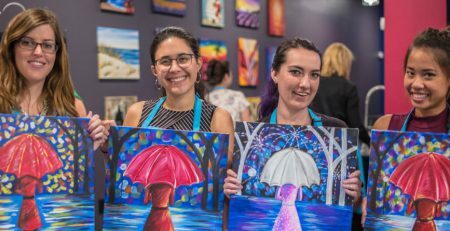 Pinot’s Palette offers the perfect venue for getting the host presenter on stage, then entertaining their most valuable clients during a painting party. Businesses such as financial advisors, real estate agents and network marketing businesses love us! You’ve got Spring and Winter Breaks, then the long months of summer, the perfect time to host Kids’ Camps and Family events during the day! Many people that are age 55+ are socially active and are looking for things to do with others that are fun, entertaining and creative. 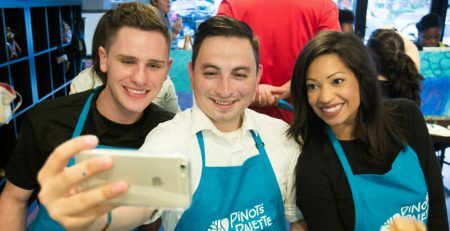 Since many people within this group are retired, daytime events are the perfect activity to enjoy their friends, laugh and have a glass of wine. If your studio is in a high traffic retail center and you have a bar, you can just open the door, let a great music mix play and draw in people looking for a respite during their shopping adventures. 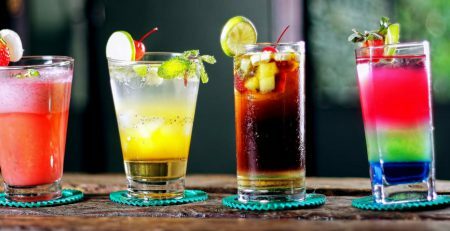 While they enjoy a drink, they will be amazed by the artwork on the walls and want to learn more. Making money while marketing? Sounds like a winner! There are a variety of different opportunities within our entertainment franchise. Contact us if you want to learn more about becoming a franchise owner!